Smart, wall-hung display system. Light. 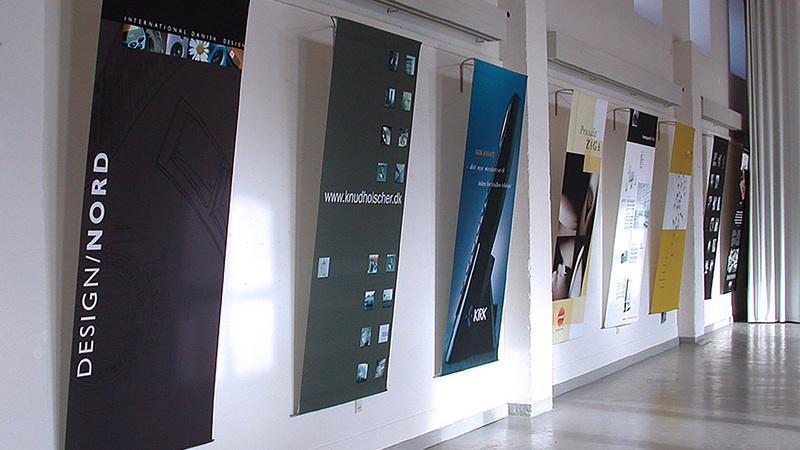 Flexible design with three banner positions: top, bottom and centre. One system, multiple options. WALL BUG is available in two sizes: WALL BUG and BIG WALL BUG. System with simple glass-blasted, stainless steel frame. WALL BUG is easy to put up, take down and transport. Kvorning Design & Communication offers graphic design and print production. Special design. Normally stocked in smallish quantities. Contact us to check stock. Kvorning Design & Communication offers a complete design solution as desired.